A mattress protector helps keep your deluxe mattress fresh and clean. Due to its large size, a mattress can be difficult to keep clean, as it can only be wiped with a cloth or hoovered, which won't remove any stains that have got into a fibre of the material. 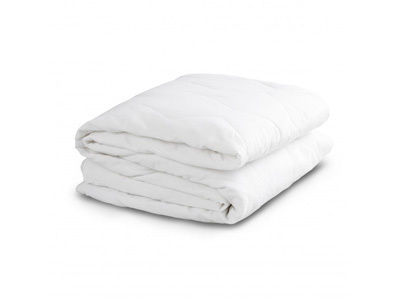 A mattress protector helps keep your deluxe mattress fresh and clean. Due to its large size, a mattress can be difficult to keep clean, as it can only be wiped with a cloth or hoovered, which won't remove any stains that have got into a fibre of the material. By adding a protector to it, any spills or drips will be greatly reduced by this outer layer, which can then be removed and washed properly. Waterproof mattress protectors will protect against all types of liquid absorbing through, which is particularly helpful against body sweat, which tends to leave an unsightly yellowish stain and is hard to keep on top of, as most people naturally sweat during their sleep. Allergy sufferers also find excellent benefits from these protectors as the extra layer of protection can reduce the contact of dust mites that are on the mattress which can cause allergic reactions and irritate skin. Bedstar’s mattress protectors are available in all standard sizes, with luxury cotton covers that will help in promote a comfortable night’s sleep.